We're on a mission to make Collin County a Texas Democratic Battleground! First up is our Triple-Hit June coordinated block walk program the first three Saturday mornings in June: June 7th, 14th, and 21st. Come out and join the Democratic Network of local Collin County Candidates, Precinct Chairs, Women Organizing Women Democrats, Heritage Ranch Democrats, Collin County Young Democrats, Wylie Democrats, and Deputy Voter Registrars for our Triple-Hit June block walks. 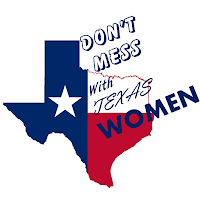 We go to work for our local 2014 Democratic Women Candidates, building our Collin County Democratic base of voters, starting 9:00 a.m., June7th. We'll canvass neighborhoods with Sameena Karmally's campaign for Texas House of Representatives, District 89 and Denise Hamilton's Campaign for Collin County Justice of the Peace, Pct 3 Pl 2. We'll register new voters, and introduce new county residents to our Democratic Women Candidates. Details on the walk locations for each Saturday will be communicated to those who sign up. Please come help make Collin County a Texas Democratic Battleground! And bring your friends, too. During the fourth weekend in June, on June 26-27, Senate District 8 Delegates and Alternates from Collin County will go to the Texas Democratic Party State Convention at the Dallas Convention Center. We want a good turnout of block walkers on June 7th, 14th, and 21st, so we can report to Democrats across Texas, at the State Convention, that we are working hard to make Collin County a Texas Democratic Battleground in Battle Year 2014! We hope to see you every weekend in June!